For the past few months, in view of Pittwater no longer having any of her former thriving Koala communities, we have followed with interest attempts by Ballina residents to save one of their own Koala communities from a proposed ‘Section 10’ 13 kilometre stretch of road portion of upgrades to the Pacific Highway that is slated to go through their habitat, a habitat they have been accustomed to and familiar with for several generations according to some reports and one study. …mitigation measures were stated as ‘revegetation’, which at surface, and researching the trees proposed for revegetation growth to maturity, looks like a seven year fast for any koalas in the specified area. A further mitigation measure proposes barriers along said road to stop the furry doe-eyed icons of our bush from wandering onto said death trap – a measure that worked well in Pittwater, where unscaleable fences, the cutting down of food trees that needed to be travelled to seasonally, and not replacing them, coupled with domestic pet attacks, worked so well that the most recent Koala Count yielded a figure of ‘0’ for Pittwater. On February 16th, 2015 the Minister for Page, Kevin Hogan MP, stated: “It was great to visit Bagotville Quarry at Wardell today with Ballina mayor David Wright to inspect plans to plant 8000 native trees as part of the Federal Governments 20 Million Trees Programme. Cynics would mutter about figurative ‘writing on a wall’ and ‘read between the lines’ or ‘check your maps’ in response to this announcement. As we head into a State Election you can guarantee the promises will flow thick and fast and positives may outweigh negatives until realisation, and physical manifestation, will prove who scoffed idly and who did not. Roads and Maritime, in line with expert advice is developing a strategy to address conditions of approval relating to management of the koala between Wardell and Coolgardie, near Ballina. • Share information with key stakeholders including Ballina Shire Council and its reference group as well as the broader community. The data collected and subsequent modelling carried out will inform development of the Ballina Koala Plan and will be subject to external expert peer review. The Federal Environment Minister will only approve the start of section 10 “if the impacts to the Ballina koala population are demonstrated to be acceptable”. Professor Mary O’Kane will lead a panel of experts, independent to the project team, which will review all ecological information on the Ballina koala population and make recommendations on the suitability of mitigation measures to protect the koala. Along with Professor O’Kane, the panel will comprise two independent experts recognised for their knowledge of koala populations and a Roads and Maritime environmental manager independent to the Woolgoolga to Ballina project team. The panel has been established to guide Roads and Maritime on matters relating to the environmental conditions set by Federal Minister for the Environment Greg Hunt, including a Population Viability Analysis (PVA). The expert panel will meet at regular intervals with the first session scheduled for February 2015. One of the panel’s tasks will be to review the Population Viability Analysis (PVA) being carried out to establish the long term viability of the Ballina koala population. Roads and Maritime has engaged scientific consultants EcoSure and BioLink, including Dr Steve Phillips, to collect data on the local koala population for the PVA. Once the data is collected, experienced ecologist Dr Rod Kavanagh of Niche Environment and Heritage will analyse and complete the PVA. Dr Kavanagh will report the findings to the expert panel with the outcomes expected to be announced later this year. ‘Niche Environment and Heritage contractors have been engaged to update the overall koala management plan , carry out population viability analysis, and prepare the Ballina Koala Plan for section 10 – from the Richmond River at Broadwater, deviating west of Wardell, to Coolgardie. The overarching Koala Management Plan details how impacts will be minimised and managed for koala populations and areas of potential koala habitat. It also identifies a number of management actions to be carried out to ensure the long-term survival of this species in the area of the project. ‘In addition, a revegetation strategy will be developed to determine areas for replanting before building starts, as well as provide details of the revegetation required for each area to connect habitat. ‘It is expected the panel will meet at regular intervals and continue until the koala management plans for the project have been approved by NSW Department of Planning and Environment and Federal Department of Environment. Roads and Maritime expects to have the updated Ballina Koala Plan and modelling outcomes of the PVA by mid 2015 with a decision from the Federal Environment Minister on the acceptability of impacts expected by October 2015. We will keep you regularly informed of project progress through letters, community updates, and our website. Please pause from envisioning burly roadworkers in too big gumboots gambolling through marshy fields with oversized butterfly nets stalking small pink flutterings until what will be done for the pink underwing moth is officially announced. Figures for fatalities on the Pacific Highway underline that an upgrade to reduce these is more than warranted, and even if you don’t accede to the present social condition of wanting to ‘be there yesterday’ as being justified in the human species pursuit of more, more, more or disregard how many of these fatalities are due to driver error rather than road condition, anyone who has travelled this route knows the decade long debate has to end and change begin. If you ask yourself, at the same time; does this preclude other species right to live too?, the logical head and true heart answer would inevitably be ‘Probably not’ – on the obverse; how many will we see prior to October 2015, with their hands on their hearts, attesting that ‘this will work’ and even go a bit Biblical with a ‘ordained species’ unspoken cant? Now stroll outside, gaze upwards at Pittwater’s vastly diminished tree canopy under the 10/50 fiasco, and point out to your little darlings all the wonderful koala population they have inherited as Keepers. Can’t see them? Hmm, that’s because they’re no longer there. Extinct. It’s going to be a ‘hard road’ either way for a solution that, for once, doesn’t spend lots of dollars on an evaluation and report and for that to be interpreted as validation for a full steam ahead approach for something that was always going to go ahead anyway, as is, lip service served, on with the desecration. This will be a difficult job, is already an uneasy place, and an uneasy feeling permeating all communities as we struggle to meet the aspirations of retaining pristine communities and the familiar home grounds of multi-generational beings that are not human while meeting the aspirations of those that are, who clearly want ‘both’. Weighing up what we give value to, an examination of worths, and not ascribing ‘worth’ to a strictly dollar definition, may guide us to where we all want to go – forward, but without carnage in our wake. Can Ballina, and our State and Federal governing bodies learn from Pittwater’s mistakes? “The NSW Labor position is that we want to see this road re- routed. At the very least the minister has got to go out and do a costing of using the existing corridor. We are watching koala populations across the nation ever decline and to allow this road to take this route would be irresponsible. This is a matter that the Shadow Minister of Environment has raised a number of occasions in Question Time and Duncan Gay continues to say he has no intentions whatsoever of even contemplating an alternative route, which means that if this road takes the path that is laid before us we are going to see, eventually, a complete destruction of the koala population in this region. “There has been a high level of public interest in the project, particularly in relation to impacts on the important koala population near Ballina. 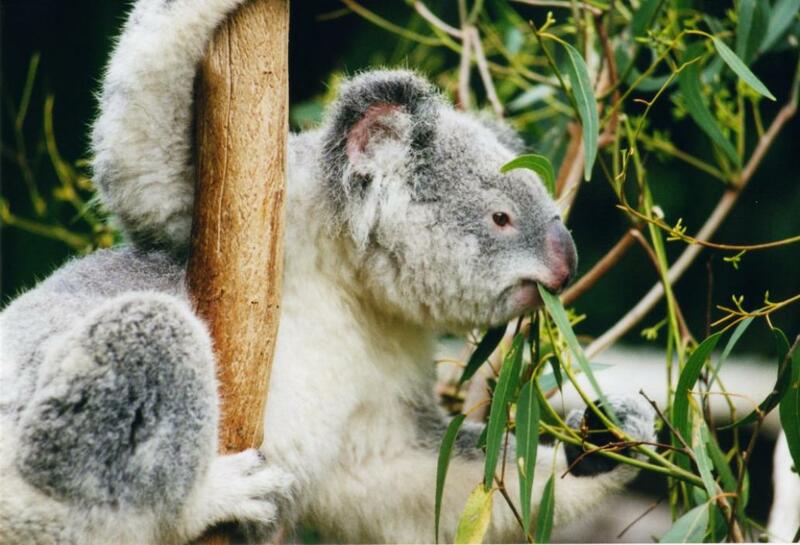 (c) by encouraging the inclusion of areas of core koala habitat in environment protection zones. core koala habitat means an area of land with a resident population of koalas, evidenced by attributes such as breeding females (that is, females with young) and recent sightings of and historical records of a population. guidelines means the guidelines, as in force from time to time, made for the purposes of this Policy by the Director. potential koala habitat means areas of native vegetation where the trees of the types listed in Schedule 2 constitute at least 15% of the total number of trees in the upper or lower strata of the tree component.